A jumble of colourful fruits and vegetables are displayed at a Sri Lankan market (photo: Lara Picone). Kiribath is similar to a rice pudding, it is made out of boiled rice and coconut milk (photo: Lara Picone). Sri Lankan food has a rightful reputation as some of the most delicious in south-east Asia, using very little meat, lots of seafood and bountiful tropical produce. It’s impossible to try it all in one visit, but if you can draw yourself away from curry long enough, look out for these morsels. Sri Lanka’s food markets are a kaleidoscopic display of fruits and vegetables. 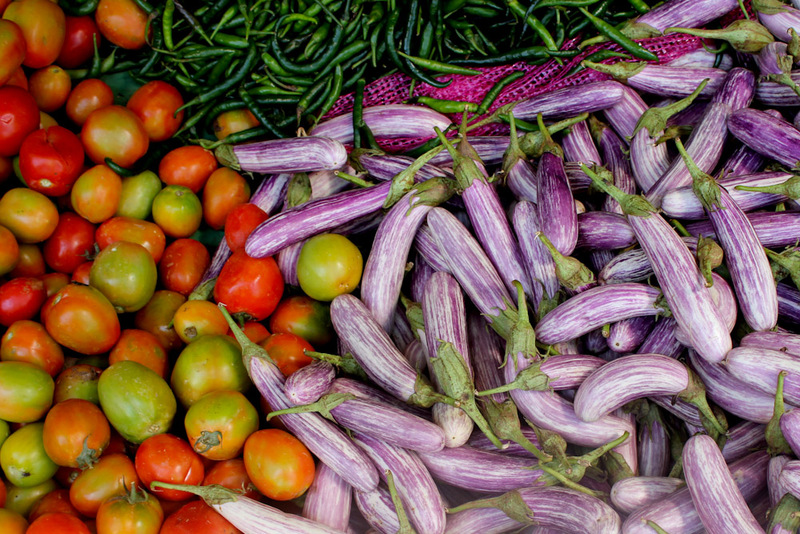 Vividly purple eggplants, jumbles of green chillies and pineapples that hang like festive garlands adorn stalls that are little more than rudimentary streetside huts. It’s also a food-lover’s paradise, delight your taste buds and try out the mouth-watering array of foods this country has to offer. These baskets of yolky goodness are the perfect way to start a Sri Lankan day, along with a side of fish curry, of course. A yeasted and steamed savoury pancake made from coconut milk and rice flour creates a perfect nest for a just-set egg. Top it off with sambols such as coconut, chilli or, our favourite, seeni sambol (caramelised onion). A type of rice pudding, kiribath (literally ‘milk rice’) is an auspicious breakfast dish of boiled rice and coconut milk typically served on the first day of each month with savoury accompaniments. 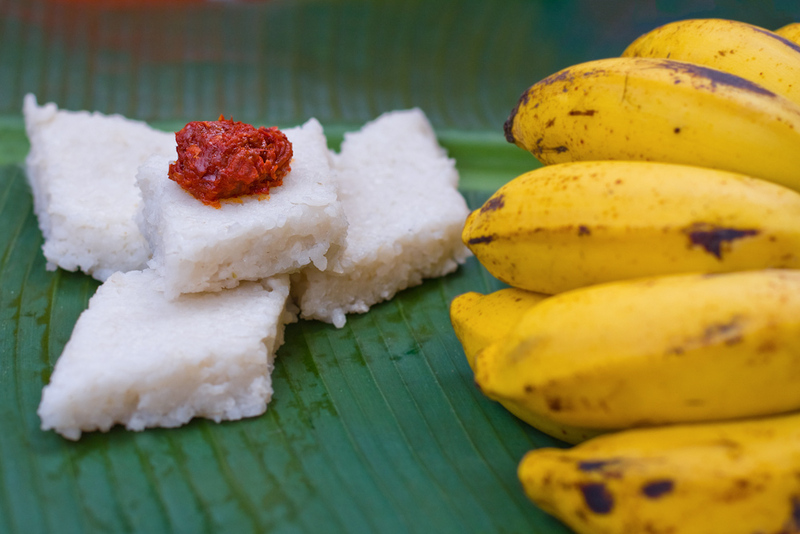 If you’re lucky enough to be visiting around Sinhalese New Year, enjoy it with jaggery and bananas, as is the tradition. Available pretty much anytime after breakfast, short eats are a whole genre of snacks unto themselves. Usually fried and always delicious, they encompass everything from lentil patties to croquette-style crumbed balls of meat, to a version of fried rice using chopped roti instead of rice (called kotthu roti), and parcels of chickpeas and curry.